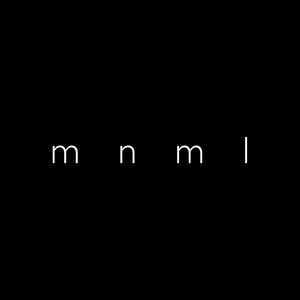 MNML believes in keeping things simple: progressive silhouettes and wardrobe staples developed in Los Angeles and sold at a fair price. Launched in late 2016, MNML achieved explosive growth among fashion-forward men seeking unique, high-quality denims at fair prices. Within months, MNML went from 0 to 20,000+ orders/month, catapulting the brand into the industry spotlight and firmly establishing it as a major success story. This incredible growth was the result of several major drivers, including the usage of customer content marketing to drive more social traffic to the MNML and increasing shopper confidence to complete a purchase. It wasn’t long after the release of MNML’s debut range of denims that Co-Founder, Nick Bowersox, knew they were on to something big. The brand was trending on Instagram, monthly orders were skyrocketing and the launch was dramatically exceeding initial forecasts. Such rapid growth, however, presented several key challenges. One of these, was the inability of MNML’s supporting technology systems to scale alongside the brand without incurring dramatic increases in cost and solution complexity. Like many stores, MNML didn’t initially put great thought towards which technology provider would be best suited to power their customer marketing, beginning with the popular Shopify app, Yotpo. At least initially, the system worked without issue. However, once orders took off it became clear there were several limitations to Yotpo. For one, Yotpo enforced restrictions on the number of review request emails MNML could send to customers without upgrading to an Enterprise plan. Worse still, Yotpo locked Google rich snippets behind a significant paywall, meaning all the great customer content MNML was generating would be lost on their SEO and search rankings. With Yotpo’s Enterprise plan priced at $699/month on an annual contract (with payment required upfront), this was not an option the MNML team were prepared to consider. “We found Yotpo to be limited in functionality unless we opted in to their Enterprise plan. Further, we were prevented from generating reviews unless we upgraded to remove the email restrictions” explains Nick. MNML turned to Okendo to provide a customer content marketing platform with all the features and no usage restrictions, and at a fair price. MNML also counted on Okendo to provide the assistance needed to migrate from Yotpo, including ensuring no existing reviews would be lost. 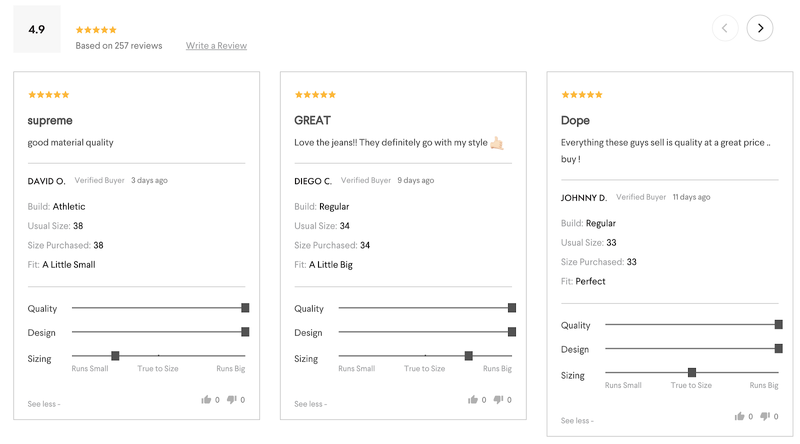 Once the core functionalities such as automated Review Request emails and Google Rich Snippets were bedded down, MNML worked with Okendo to expand the level of content customers were able to provide in their reviews, beginning with capturing additional customer provided insights into product sizing and fit. This information would help future shoppers better understand MNML’s sizing, increasing confidence that their purchases would be the correct size and thereby reducing the need for product returns or exchanges. “Buying clothes online can be daunting to some online shoppers due to concerns around sizing and fit. As such, we were particularly interested to explore the potential for customer reviews to provide additional insight into the decision making process for our customers. The results so far suggest these insights do have a big impact on shopper confidence” says Nick. MNML also utilised Okendo's review functionality for capturing customer photos and videos. 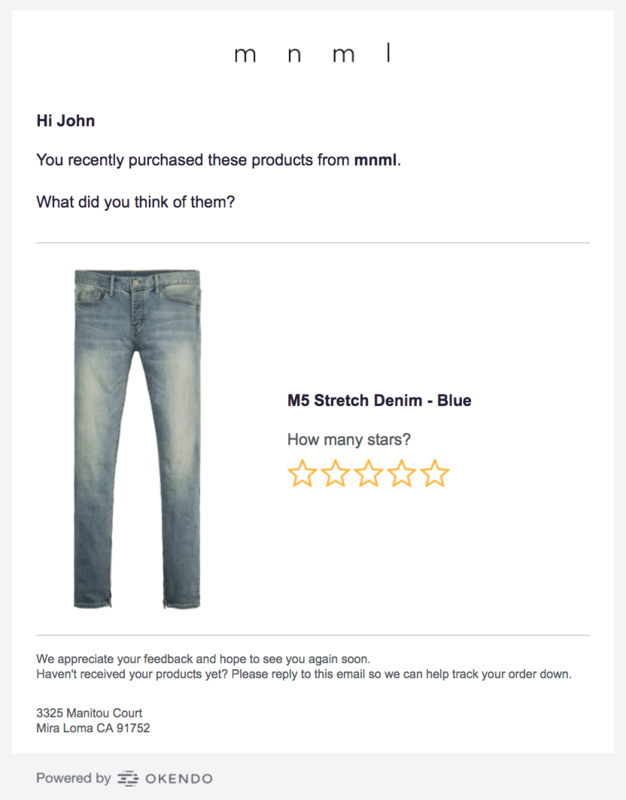 With so many customers eager to show off their personalised styling of MNML’s denim, capturing this additional content was a major enhancement to MNML’s customer content marketing strategy. Not only could this content be used on product pages to showcase MNML denim in natural customer settings, but it could also be re-purposed across Instagram and Facebook, in the form of both organic and sponsored posts.